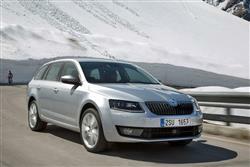 Skoda have been offering us Octavia 4x4s for a few years now, but this improved model makes more sense than ever. In fact, it makes a really strong case for itself as the most practical 'real world' car you can buy. Just as importantly for some, it's not an SUV but still has that all-weather utility. After some careful deliberation, I'm proposing this vehicle, the ordinary 4x4 variant of Skoda's Octavia Estate, as Britain's most practical car. It's got some serious credentials for the role. It's a Skoda. It's an estate. It has all-wheel drive. Need more convincing? You'll have to stick with us for the finer points then. 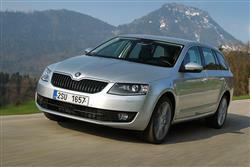 Skoda has offered all-wheel drive variants of the Octavia for some time now, the first models sold in Britain making landfall way back in 2001. Back then though, the Octavia Estate was a far more petite thing than you get these days and it was always a bit tight for families with larger kids. The latest Octavia Estate is cut far more generously. There's a smarter look and improved connectivity, plus, as before, you get 610-litres of luggage space before you start folding seats and that doesn't come at the expense of impressive rear legroom. In short, this is a vehicle that carves its own special niche. 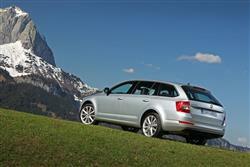 The Octavia 4x4 Estate is based around the Volkswagen Group's familiar 2.0-litre TDI 150PS diesel unit. 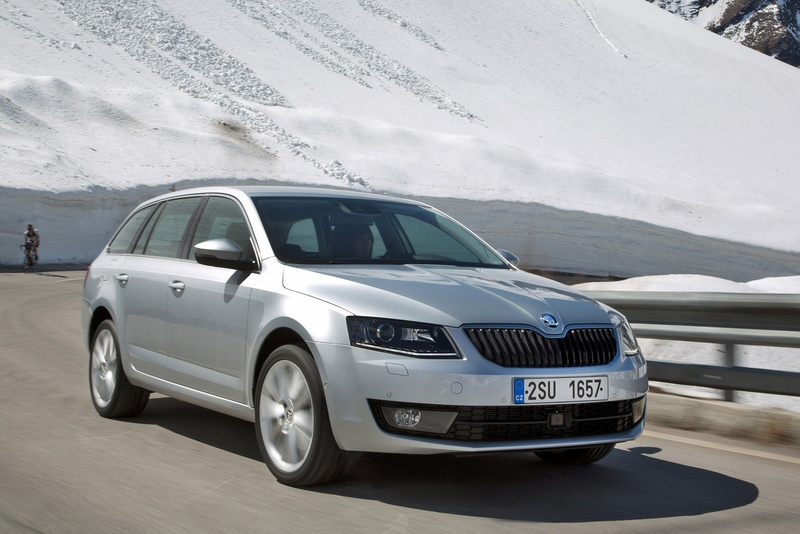 This powerplant gives the Octavia 4x4 the added muscle power it really requires, with 320Nm of torque at your elbow and the ability to get to 62mph from rest in just 8.7 seconds. It also comes with a six-speed manual box so that you can really get the best from that torque figure. If you want this vehicle with a bit more visual SUV attitude and don't mind paying a little more, Skoda also offers it in 'Scout' form, in which guise you can also order a 184PS version of the 2.0 TDI diesel. You'll also need the Scout variant if you want the option of DSG auto transmission. Whichever version you choose, the revised Haldex 4x4 system used is the same and is almost indiscernible in its action, shuffling drive to the front wheels when required without any fuss or drama. It also gives the Skoda some meaningful off-road ability, helped by the fitment of electronic diff locks on both axles, although you do need to be constantly aware of the modest ride height. The rear suspension is an expensive multi-link affair which has a genuinely beneficial effect on the sort of rough and loose surfaces that would make a torsion-beam equipped car feel nervous. 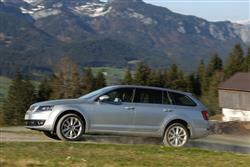 There's also the clever XDS braking system for extra grip when cornering on slippery surfaces. Let's get one thing straight. This Octavia Estate keeps its 4x4 credentials on the down-low. You don't get conspicuous badging or monster plastic cladding up the side. There's no gnarly ride height or steel bash plates front and rear. 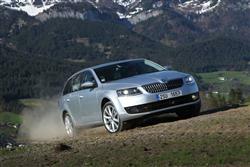 In fact, you'd be hard pressed to identify it from a normal Octavia Estate and that low-key approach is part of what makes this car so cool. apart from subtle boot badges and 17-inch alloys. Yes, Skoda will sell you a Scout version with raised ride height and rugged underbody protection but for those who don't feel the need to advertise, this one's probably the pick. As for the changes made to this revised version, well, the lines have been streamlined, especially at the front. The two adjacent headlights form a dual face with a crystalline look and feature full-LED technology. The brand logo has gained more presence, with the front of the car featuring what the Czech maker hopes is a more powerful and wider appearance. As for practicality, well there can be no arguments about the 610-litres of space you get in the boot when all the seats are in place. 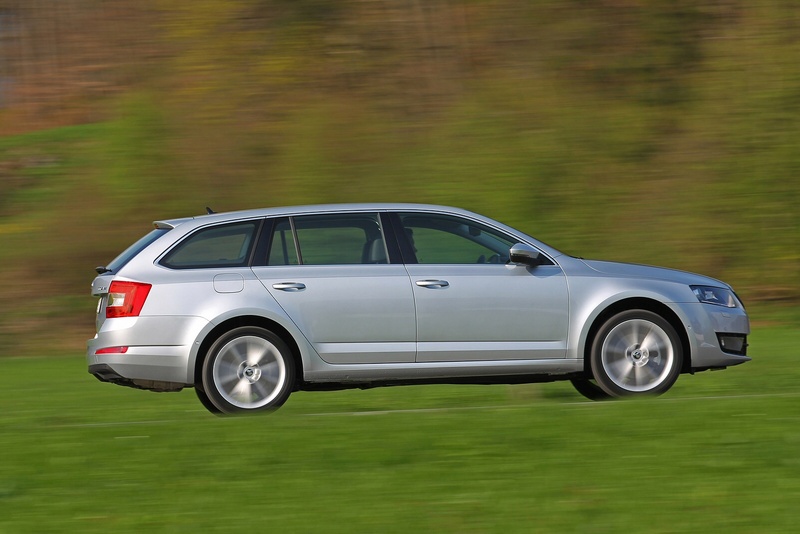 By contrast, if you opted for a really big car like a Mondeo estate, you'd get a mere 537-litres and a car from the class the Octavia just vacated, such as a Focus estate, yields a mere 476-litres. Now you get an idea of the sheer utility of this car. 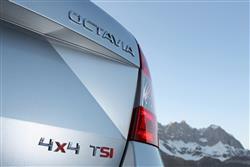 By folding the rear backrests down, the boot space increases to an impressive 1,740-litres. 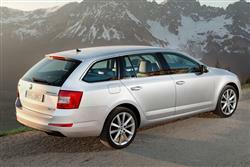 Prices for the Octavia 4x4 Estate are eminently reasonable. 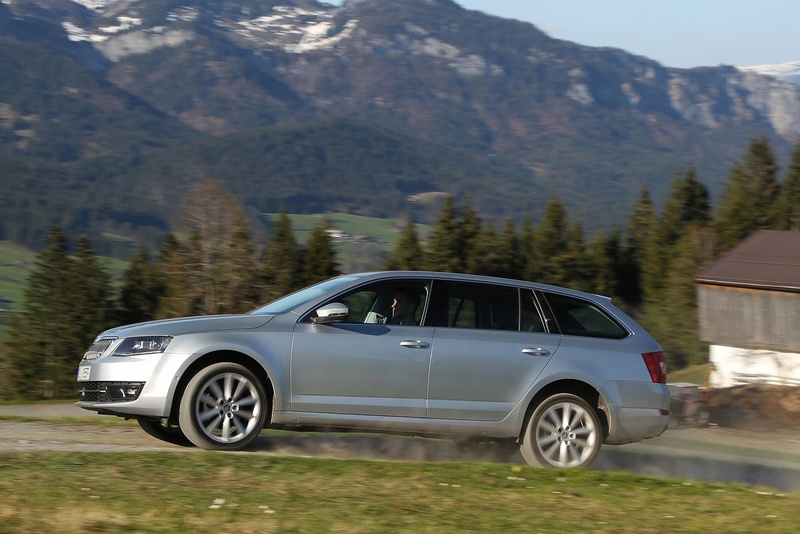 You can get an all-wheel drive Octavia Estate with SUV-like 'Scout' trim or in sporty 'vRS' form, but here we're focusing on the ordinary 4x4 model, which comes only with the 2.0 TDI 150PS diesel engine and only wih either 'SE L' or top 'Laurin & Klement' trim. You'll need a budget of around £26,000 for the 'SE L' or around £30,000 if you want the leather-lined 'Laurin & Klement' model. That's about the same as you'd pay for this car's closest rivals. 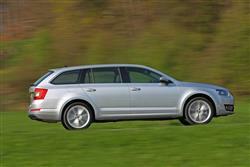 One is the Ford Mondeo Esate in 2.0 Duratorq TDCi 150PS AWD form, but that car has a significantly smaller boot. A better match is Subaru's Forester 2.0D XC - but that car would cost you more to run. And, when it comes to interior quality, it's a slam dunk for the bulletproof Skoda. Key equipment items include alloy wheels, tinted glass, climate-controlled air conditioning that also cools the glovebox, a height-adjustable driver's seat, a four-spoke leather-covered steering wheel, a trip computer, an eight-speaker stereo with a DAB digital radio and USB and AUX-in sockets, plus there's a hill holder clutch that stops you from drifting backwards on uphill junctions. The optional SKODA Phonebox with wireless charging connects a smartphone to the car antenna by near-field coupling without the need for a cable, thus offering high call quality and best data reception. There has to be some bad news regarding the Octavia 4x4 and it's the fact that model for model, this variant is around 10mpg thirstier than its front-wheel drive counterparts. That's a clear efficiency deficit but it's worth putting that into perspective. The 2.0 TDI engine will still return a combined fuel economy figure of 60.1mpg, so they're probably not going to know how you like your coffee at your local filling station. Emissions are kept well in check too, registering 126g/km. Compare that to the 47.9mpg and 148g/km you'd get with a close rival like a Subaru Legacy Tourer 2.0D and you'll appreciate how efficient this Skoda model is. 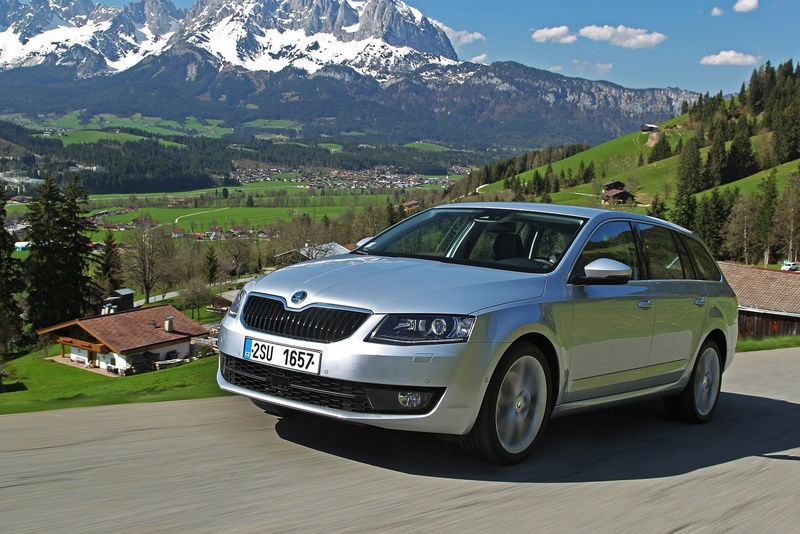 The brand's engineers have achieved significant improvements in the Octavia's consumption and emission figures thanks to advanced diesel engine design, a low drag coefficient and relatively low vehicle weight. The latter is down to lightweight engineering, a progressive body design, utilisation of high and ultra-tensile steel and a careful selection of materials. Residuals are reasonable, plus there's the usual three year / 60,000 mile warranty. And there's the choice between fixed or flexible servicing regimes, depending on whether your annual mileage is short or long. If you�re looking for a new SKODA Octavia 2.0 TSI 190 SE L 4x4 5dr DSG Petrol Estate for sale, you�ve come to the right place. At Bristol Street Motors we don�t just have the best SKODA Octavia 2.0 TSI 190 SE L 4x4 5dr DSG Petrol Estate deals, we also offer friendly advice and help with all your enquiries to ensure your buying experience is a happy experience.